Yum!! I had a sample of the full-fat kind at the store the other day, and it was SO delicious, but I couldn't bring myself to buy it because it was pretty high in calories. I'll have to try this! You should try their reduced guilt macaroni and cheese, too - it's awesome! 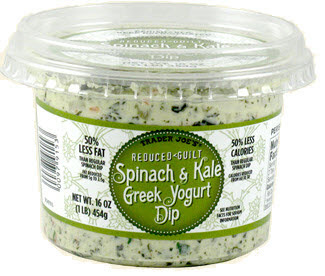 Agreed - this dip is fantastic, and the nutrition content is almost too good to be true!